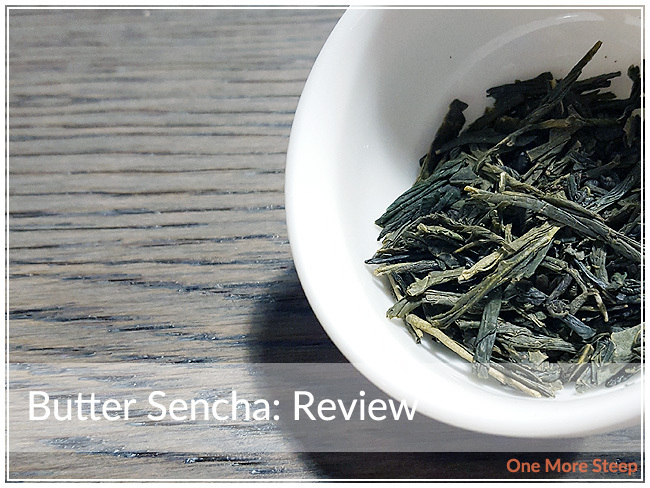 Butter Sencha was a tea that when I first smelled it in the store, I was intrigued. I’ve really grown to love Japanese green teas, and sencha is no exception. I was curious about the butter flavouring, because green teas can be delicate at times that they don’t need extra flavouring to make an excellent cup of tea. 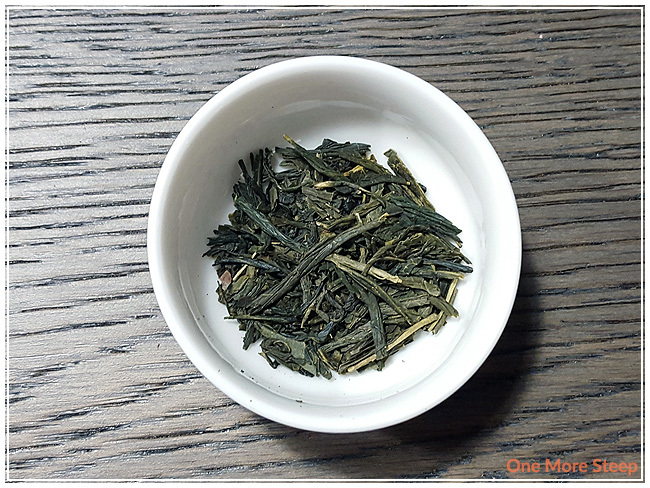 The dry leaf of Butter Sencha is short, flat dark green pieces. The smell of this tea reminds me a lot of a mix of butter and brown sugar, there’s some of light molasses notes to this tea. I think that could be attributed to the roasting of the butter. Butter Sencha is made up of green tea and natural roasted butter flavouring. Usually DavidsTea will mention if there are allergens involved with their teas (warnings about dairy/milk, soy, etc.) but there’s nothing mentioned for this tea. I’m not sure if the ‘flavouring’ that’s been added contains dairy products or not, but that would be something to ask in store or online if you have concerns about it. 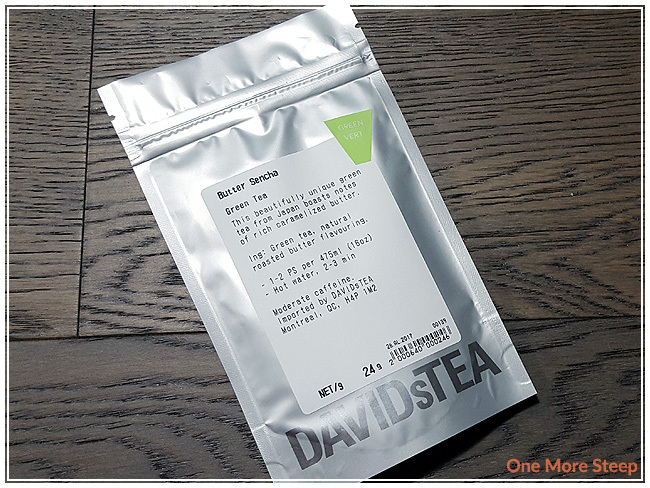 DavidsTea recommends steeping Butter Sencha for 2-3 minutes in hot water, ‘hot water’ is defined as 75-80°C (167-176°F). I steeped Butter Sencha in my tea pot in 175°F water for 2 minutes. Butter Sencha steeps to a very pale yellow for the initial steep. There’s very light buttery smells to this tea as it steeps and I found it to be quite enticing once the two minutes mark is reached. On first sip, the first thing that I really notice is a buttery creamy quality to the tea. The tea itself is smooth, there’s no bitterness that I can taste and zero astringency. The butter flavours in this tea are rich and there’s a slight sweetness to the steeped tea as well. I wouldn’t say it’s overly sweet, but it’s just enough to be a hint of brown sugar on my tongue. There was some fine particles of the tea that escaped from the stainless steel infuser that I use. If tiny bits of tea leaves bother you, I’d recommend using a filter bag to contain everything just a bit better. I resteeped Butter Sencha an extra four times, adding 30 seconds to each subsequent resteep. 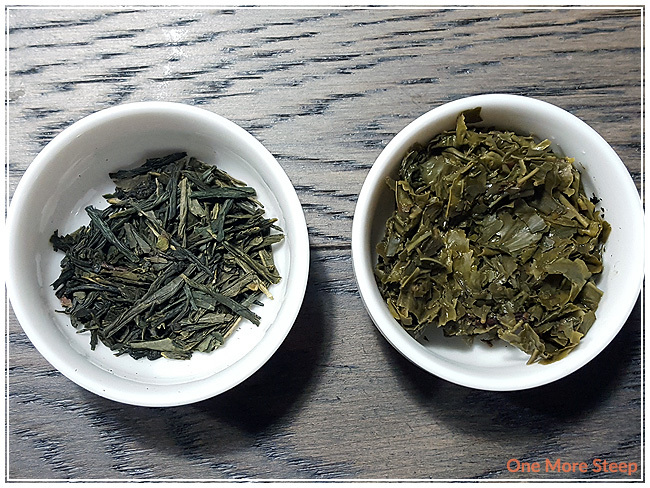 I found that the tea got darker as each steep went on (to a bright, golden yellow) and the buttery flavours got more pronounced for the first two resteeps, and began to get a bit weaker for the third and fourth resteeps. The brown sugar sweetness that I discovered in the initial steeped stayed relatively strong until the third resteep. The sweetness makes the tea quite enjoyable. I liked DavidsTea’s Butter Sencha. 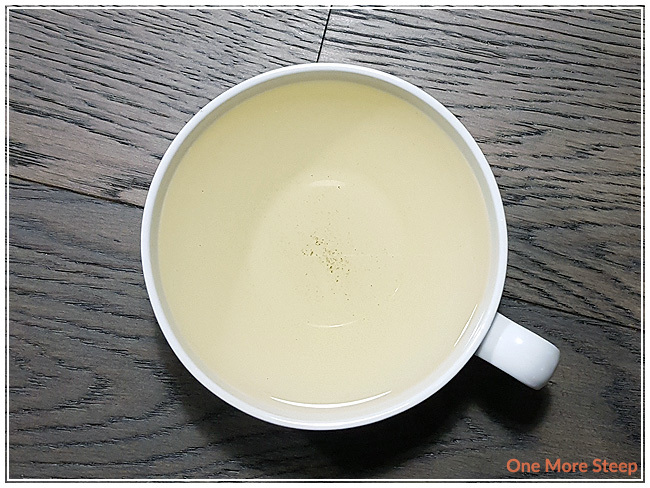 There’s something really delicious about the flavour of buttery creaminess in my tea, and the brown sugar flavours are just the right touch to this green tea. I do wish that DavidsTea had a bit more information regarding the butter flavouring, since I know there are people out there that can’t have dairy products. That said, Butter Sencha resteeps well and it does get better after the initial steep and the flavours hold up. It makes for a tasty cup of tea and the buttery flavours are delicious (I almost feel like this is how Movie Night should have tasted).